Oscars weekend is here! 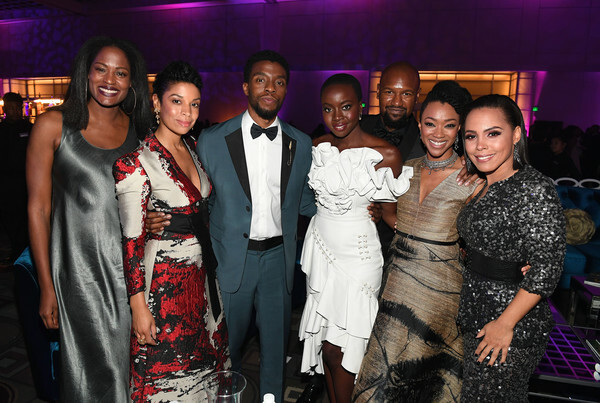 But before this blog becomes awash with super fancy gowns there are a number of other events including the star-studded premiere for A Wrinkle in Time, the Essence Women in Hollywood luncheon, more fashion week and some stunning magazine covers to enjoy. 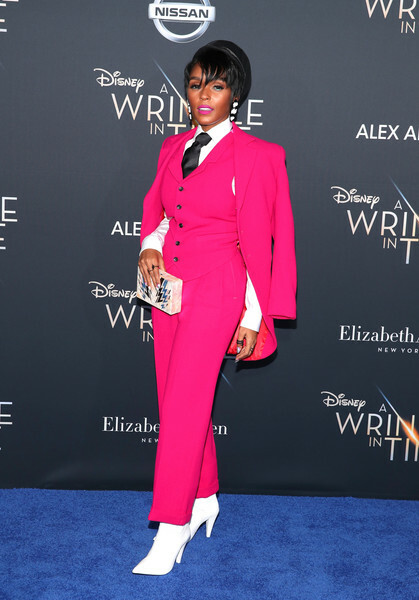 Janelle Monáe sartorially dominated awards season last year. Now she is back with new music to dance to and this stunning hot pink Wolk ladysuit. 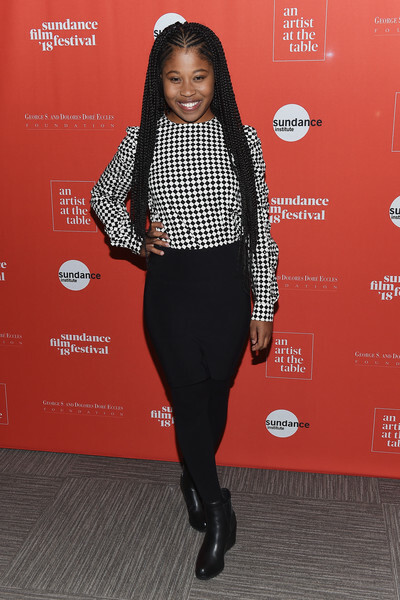 The black and white touches are still present, but Monáe is very good at changing things up. A beautiful Vionnet gown for Gugu Mbatha-Raw that is part Grecian, part rainbow dream. 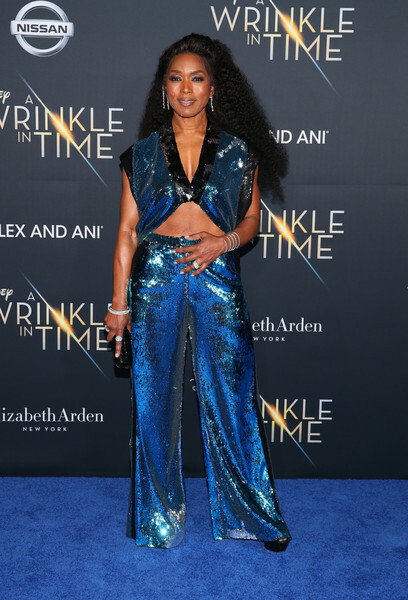 Angela Bassett looks like a disco queen in sequin Greta Constantine. Take me to Studio 54. The cast of A Wrinke in Time went to Disneyland as part of the promotional train. And Mindy Kaling wore polka dots without looking too Minnie Mouse. In excellent TV casting news; Lupita Nyong’o and Danai Gurira are reuniting for the mini-series adaptation of Chimamanda Ngozi Adichie’s Americanah. 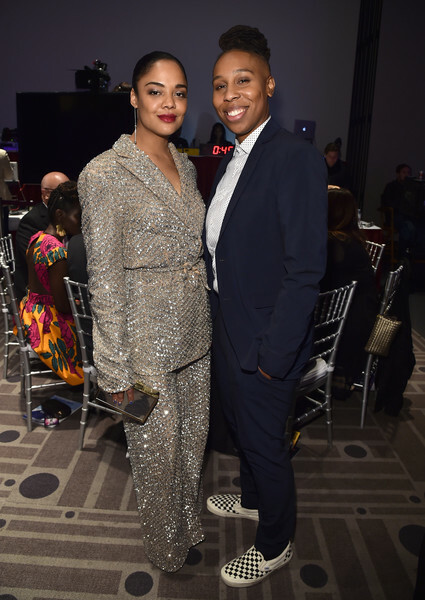 The pair attended the 2018 Essence Black Women in Hollywood Oscars Luncheon yesterday (it was also Lupita’s birthday) where Gurira was honored. There’s a fun ’80s twist to Lupita’s Ronald van der Kemp floral and snakeskin print mini. And Danai Gurira’s gone for an ethereal Loewe frock, but it is her stacked heels that I am coveting hard. Two very different ’70s style inspiration points, two outfits that look fabulous. 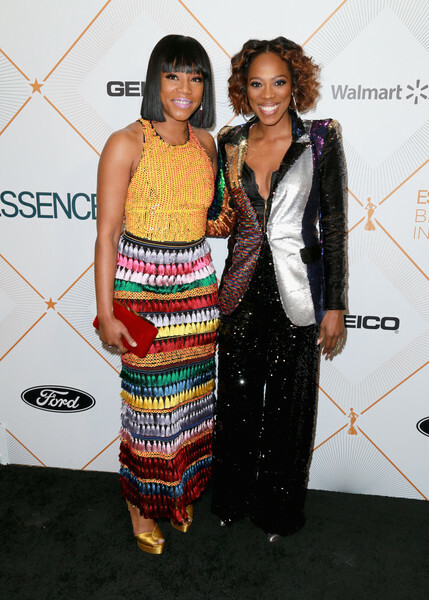 Rainbow tassels for Tiffany Haddish, all the sequins for Yvonne Orji. Also this video is from last week, but it is worth watching again. 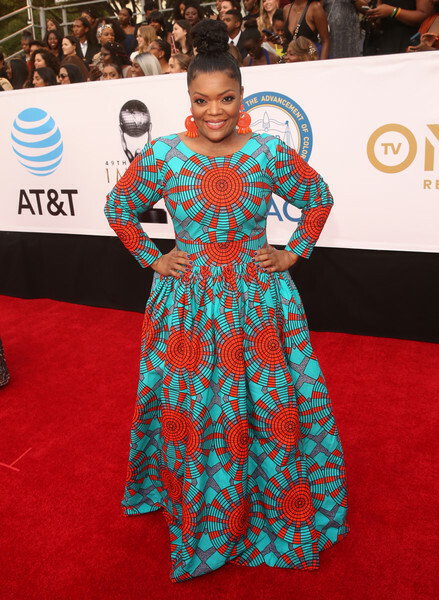 So many amazing ladies at this event and so many TV Ate My Wardrobe faves. 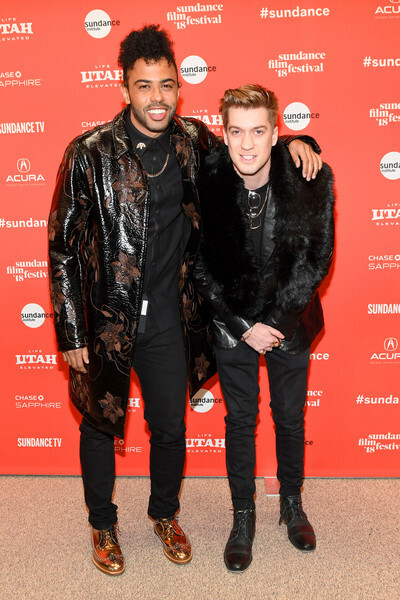 The pattern and bold color of these outfits makes me so happy. At Paris Fashion Week, Isabelle Huppert leans into a classic look at Dior. 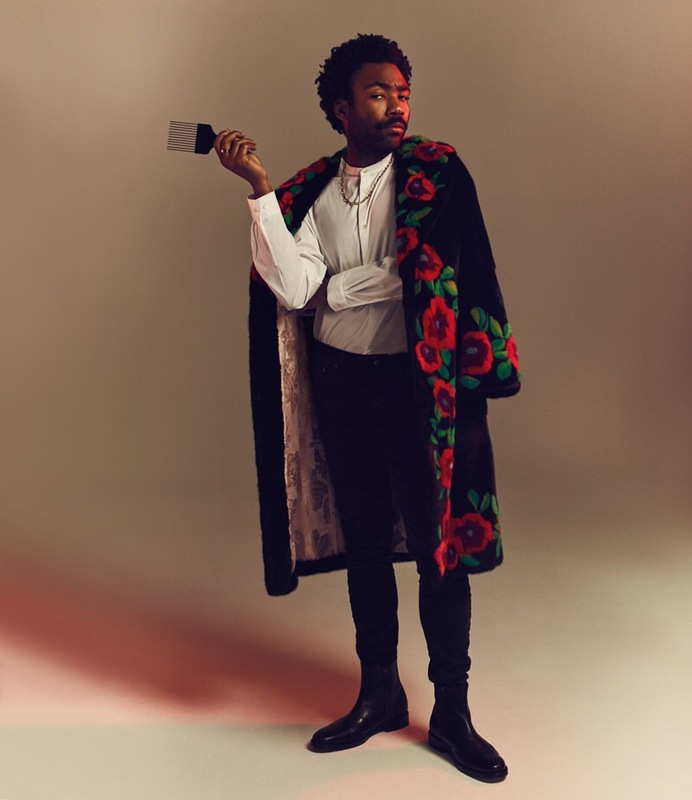 This is an outfit I would wear, but I would not exude this level of cool. I also stopped myself from using chic because now all I can hear is Reynolds Woodcock’s disdain for this word. It has been over a year since Westworld graced our screens, but the season two April 22 return date has snuck up on me. Well, there is still over a month to go and yet Entertainment Weekly is getting the hype machine going early with this new cover. Perhaps there is a need for a longer promo window to match the time it has been off screens. 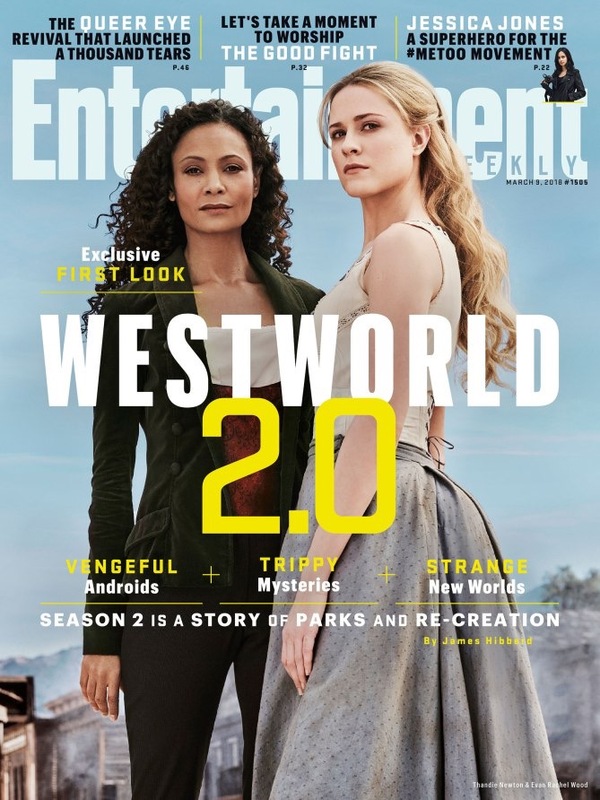 Dolores and Maeve were the standout characters from season one so I am thrilled they are the chosen cover stars. And that Maeve has ditched her gowns for pants. 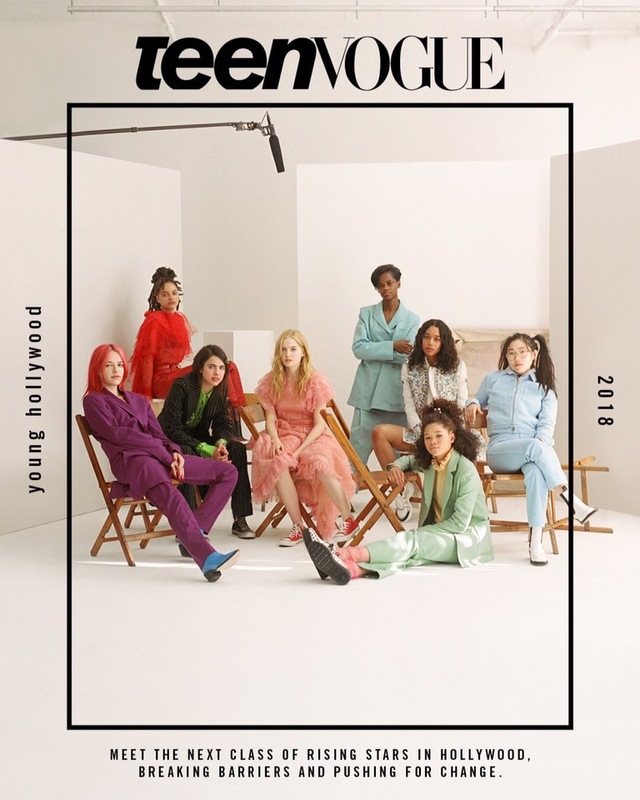 The Teen Vogue print edition is no more, but that doesn’t mean the end of the Teen Vogue cover; the first digital only cover takes the big group shot that magazines like Vanity Fair and The Hollywood Reporter often deliver and makes it awesome. So who is on the cover? 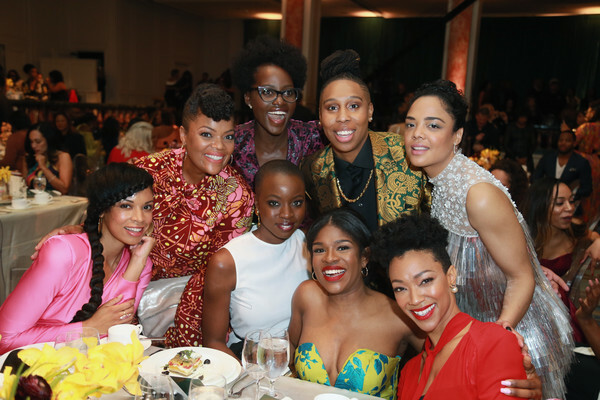 Bria Vinaiti (The Florida Project), Sasha Lane (Hellboy), Margaret Qualley (The Leftovers), Ellie Bamber (The Nutcracker), Letitia Wright (Black Panther), Laura Harrier (Spider-Man: Homecoming), Storm Reid (A Wrinkle in Time) and Awkwafina (Ocean’s 8). One thing I always end up talking about with the THR drama actress cover is what color scheme they go for with pastels being a go to palette choice. There are pastels here, but it isn’t bridesmaid leaning (thanks Kirsten Dunst for that comment). A mix of bold color, pretty dresses, ladysuits, flats, heels; there is a through line even if there are many different styles at play. I would love to see THR take a page out of Teen Vogue’s style book for the next roundtable season. I want to frame this cover. And for all things Lady Bird, I was joined by long time Teen TV collaborator Julie Hammerle to discuss the movie, how it relates to the Teen TV we have previously discussed and our own experiences. It is really fun. 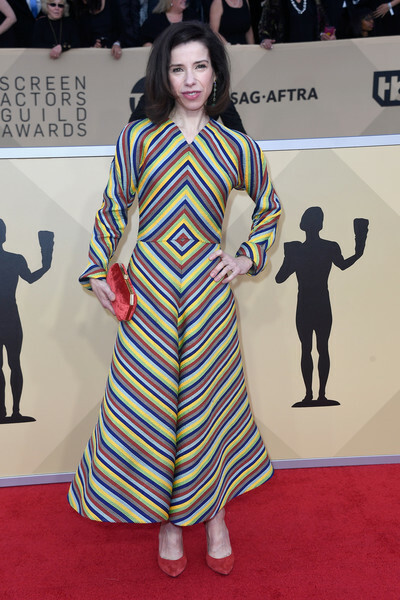 This column has recently turned into more than just the ‘Look of the Week’ and is part rundown of my week in pop culture. 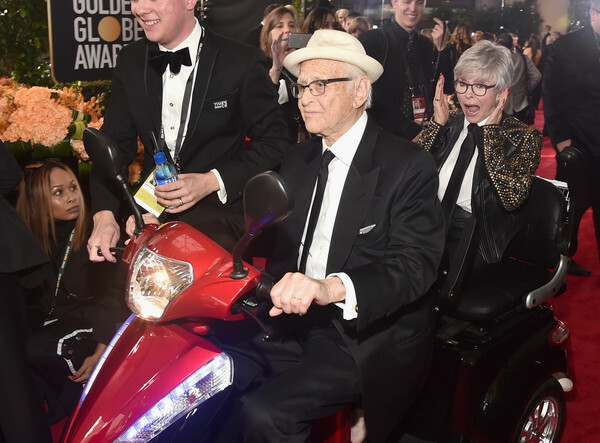 There are of course still plenty of sartorial moments featured; this time of year is always a very fun and busy one. Award season continues, the Last Jedi press tour is in full swing and magazine covers continue to deliver. This week I wrote about the shift in season between summer and winter on Broad City including where to get similar (and affordable) outfits. This was the first year I partook in the Fug Girls ‘Guess the Vogue cover star game’ and I got 2/12—Zendaya and Daisy Ridley—a pretty bad strike rate. I did not guess Lupita Nyong’o, but I do love this cover shot. 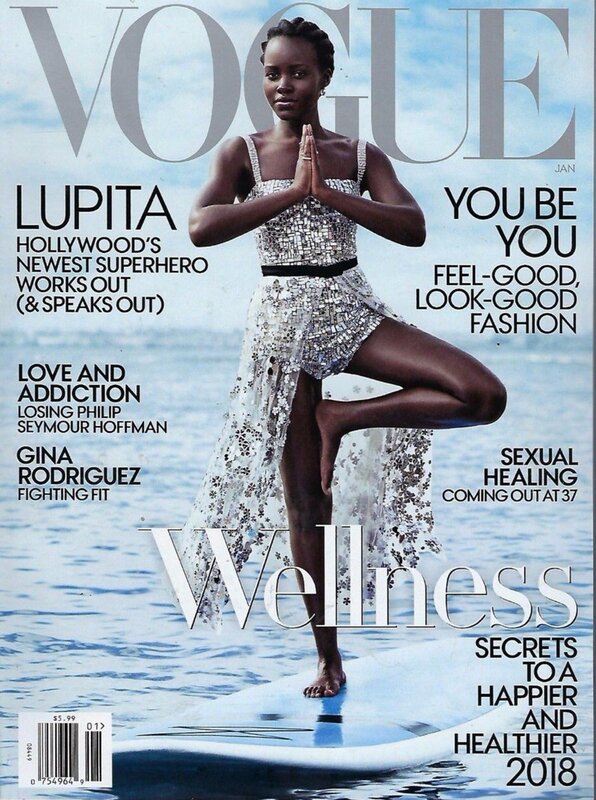 And I am more than impressed with Lupita’s balancing act in that dress. 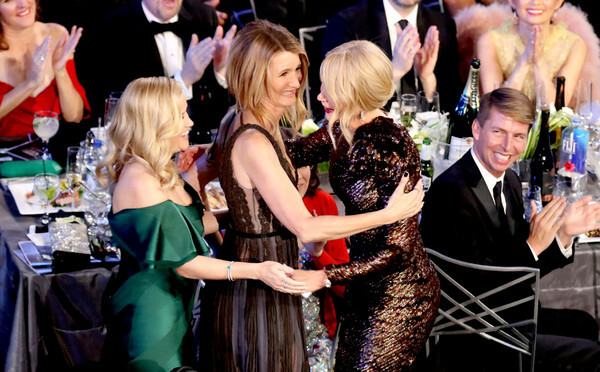 I am very much looking forward to seeing Paulson alongside other TV faves in The Post. Star Wars: The Last Jedi is now less than a week away. 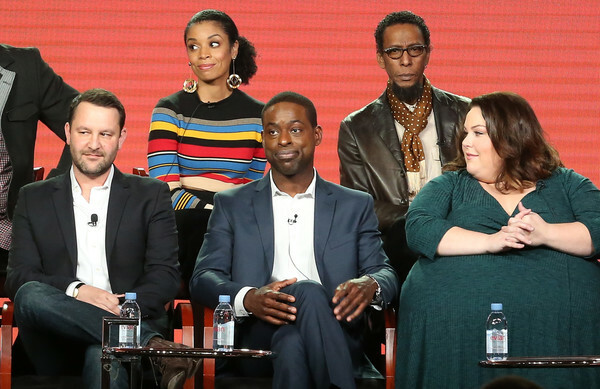 The promo tour continues and pretty much all of the core cast appeared on Jimmy Kimmel Live! last Friday. Daisy Ridley has turned the backstage area into her own personal catwalk and looks stunning in Carolina Herrera and super sparkly Louboutins—giving me wedding shoe flashbacks. 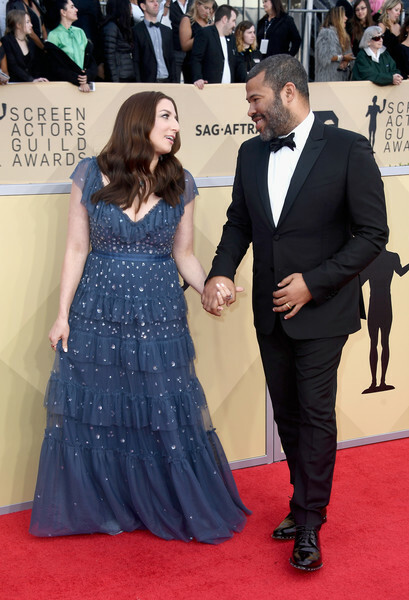 The talk show preamble often features the outfit a guest is going to wear on the show. Something that Star Wars newbie Kelly Marie Tran wasn’t aware of. This is a delightful post (and for the record I think her casual outfit is great). 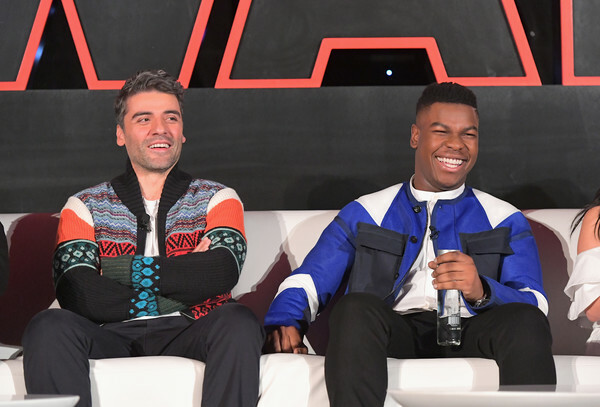 Also to be filed under delightful; at the Last Jedi press conference Oscar Isaac wore a cardigan that I now want to live in. 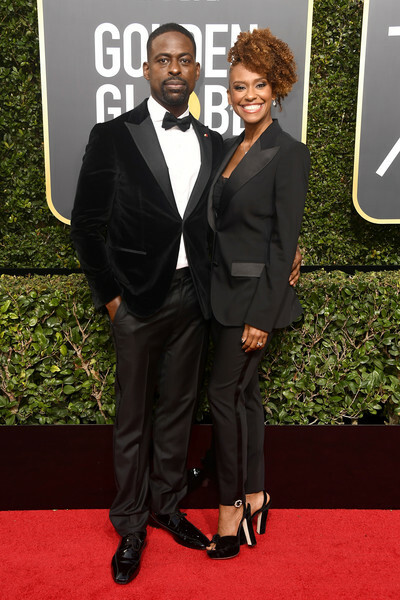 And keeping it bright in a color block jacket is John Boyega. At the GQ ‘Men of the Year’ party the Call Me By Your Name team all scrub up well. 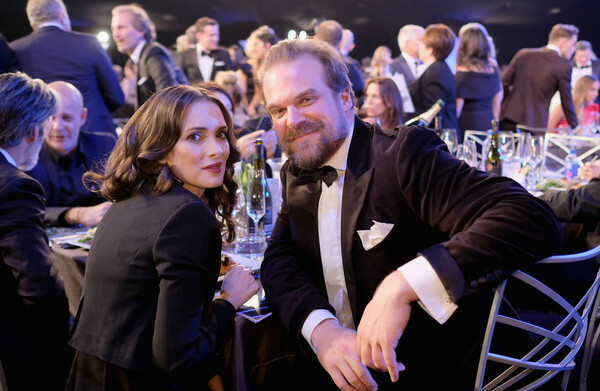 Michael Stuhlbarg looks like the dad of the group—which makes sense— and director Luca Guadagnino has toned it down from the Gotham Awards, but still has a fun collar detail. 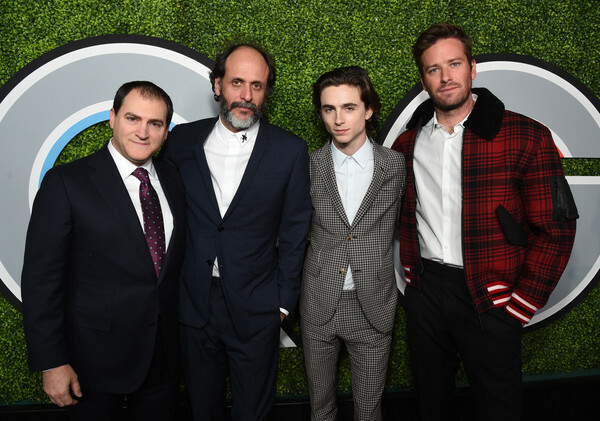 What I love is that Armie Hammer and Timothée Chalamet are both going for plaid in very different ways. 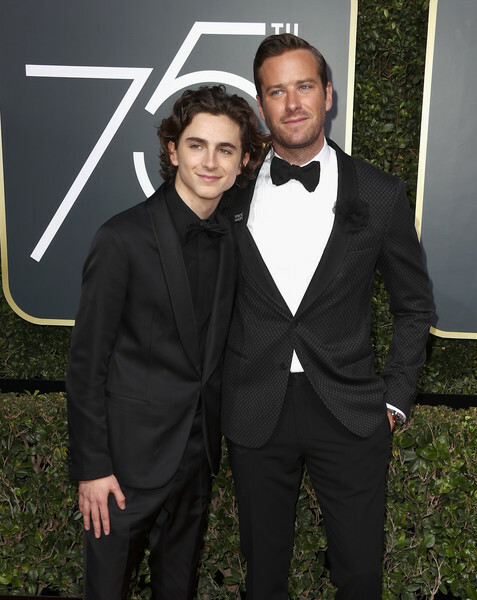 How very Oliver and Elio of them. You can read my take on the portrayal of sexual fluidity in CMBYN here. This award season has been lacking the Ruth Negga factor, so it was wonderful to see her at the London Evening Standard Theatre Awards looking a dream in red Valentino. Another TV Ate My Wardrobe fave, Cush Jumbo looks suitably festive in Michael Kors. I cannot wait for The Good Fight to come back. Showing how to do formal sweater is Winnie Harlow in Brandon Maxwell. Considering I am currently wrapped in knitwear, this is something I very much appreciate. Harlow is going full ‘Jolie Leg’ but so would I if my shoes were that sparkly. What better way to spend breakfast than the Hollywood Reporter’s 2017 Women In Entertainment. 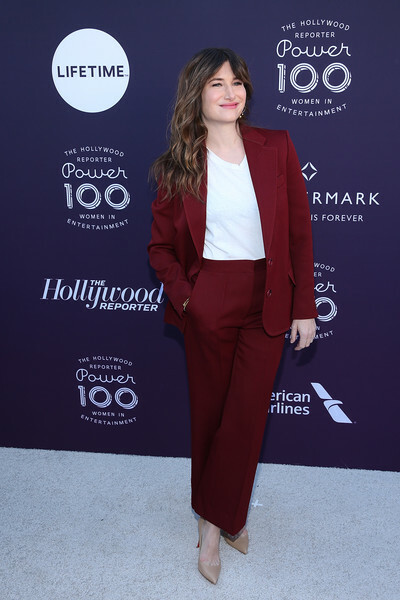 Kathryn Hahn ticks all the fabulous ladysuit boxes, even if she has gone for beige pumps. This is more like it in the shoe department! And Gillian Jacobs has also gone for the ladysuit option with a pink Sandro ensemble. A fun game of ‘Is this Dior?’ on Jennifer Lawrence is usually determined by how much I like it. If it is a hit then the answer is usually no. And in this case that instinct is spot on, as this dreamy frock is Philosophy di Lorenzo Serafini. 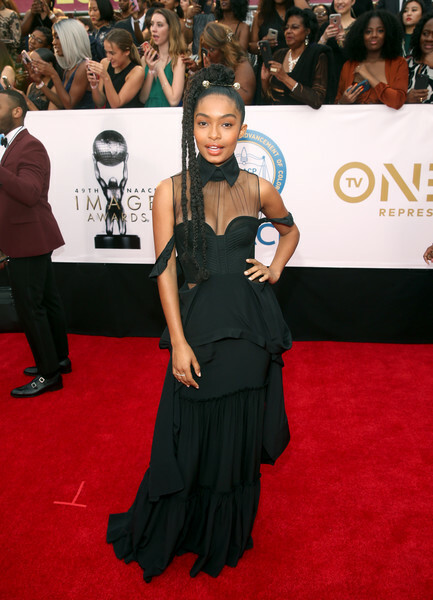 Yara Shahidi is also wearing Philosophy di Lorenzo Serafini in a dress that I would definitely spill my coffee and eggs down, but also looks lovely on the soon to be Grown-ish star. More striking white, This is Us fave Susan Kelechi Watson gives great peplum in Zeena Zaki. Gabrielle Union in a pair of pants that look a little like the French Connection pair I wore non-stop in 2000 (until they were ruined with an accidental cigarette burn of my own making) at the Refinery29 29Rooms Los Angeles: Turn It Into Art Opening Night. This New York Times profile of Union, her book and doing a promotional tour of this raw, personal material over the last couple of months is a must read. It left me in tears and the last two months has been intense. But Union has been talking about this long before the #metoo movement and she discusses this in the profile. 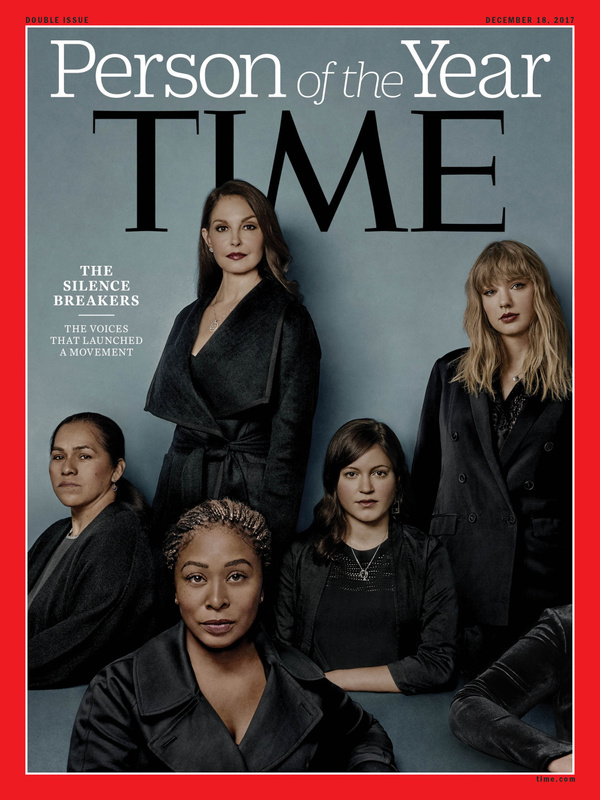 And now for the Time ‘Person of the Year’ issue. As I mentioned above the last couple of months have been rough. This reckoning has been coming for a long time, it is obviously a good thing that these horrific acts are coming to light and the women and men that have come forward are honored in this way. This cover is incredibly striking. There has been much debate about Taylor Swift’s placement and I think she should definitely have been included in the piece, but someone like Kesha (if they wanted a pop person in that place) would have been a better choice for the front cover. 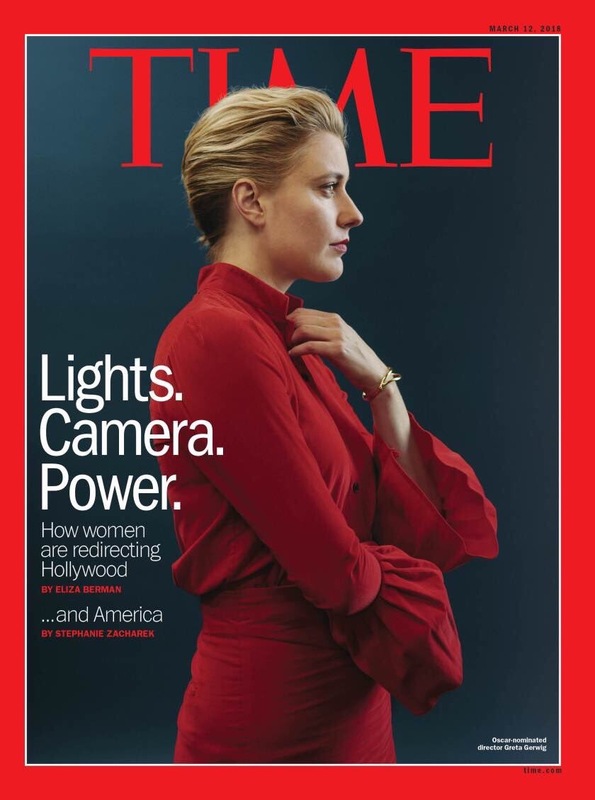 But also I get that Time wants to sell magazines. Summing up 2017 in one expression from Nicole Kidman; the Great Performers issue of New York Times Magazine is always amazing. This year is no exception. A slightly quieter week between the big events and with everyone heading down to Sundance expect a lot more knitwear and coats from the next column; considering how cold it is right now I am so ready. 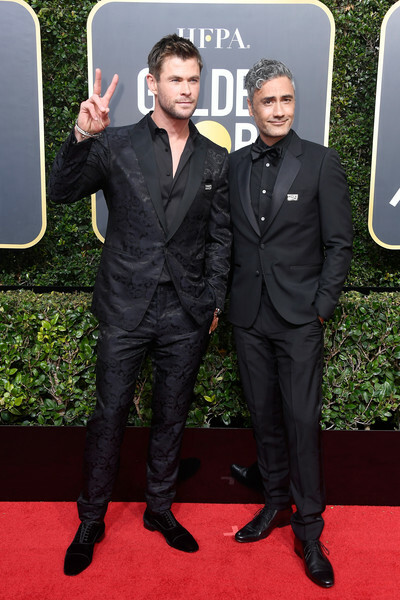 On the menu today there’s the Elle ‘Women in Television’ celebration, even more TCA and various other public appearances that deliver sartorially. A casually slung coat and one this fabulous is a style weakness of mine and throwing it over the top of pants – which do need hemming – is even better. Shailene Woodley is giving off super cool vibes and at least she doesn’t have to wear that Fendi sweater for Elle on this occasion. All the red lipstick points get dished out here too. 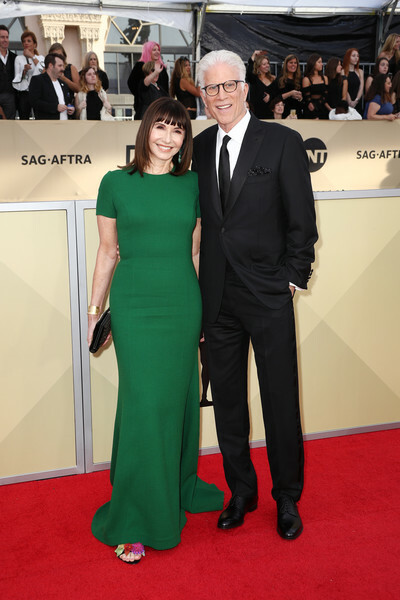 Constance Zimmer in a St John Knits blouse that is giving me all the Joan Watson feelings and she’s giving a classic outfit choice a colorful and shiny oomph with her bold pink lip and silver Aldo pumps. 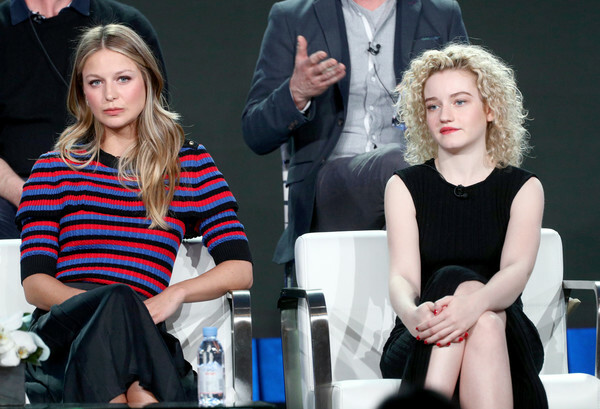 A lesson in how to do matchy matchy without looking over coordinated at the Big Little Lies TCA session last weekend. Zoë Kravitz was our favorite of the Elle covers this month; she’s also crushing it here in red Alexander Wang. I think you might know what I’m going to say about Mandy Moore in REDValentino at the NBC TCA day and yep I would prefer this dress if the top half wasn’t sheer. BUT I do love the super colorful pleated skirt, red pumps and light pink lipstick. 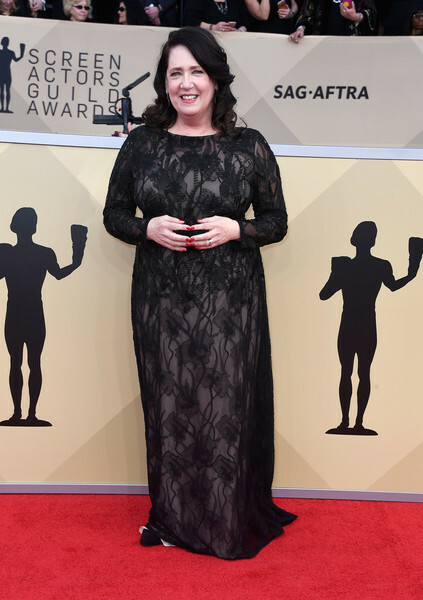 Plus I am pretty much obsessed with everything Moore wears on This is Us. 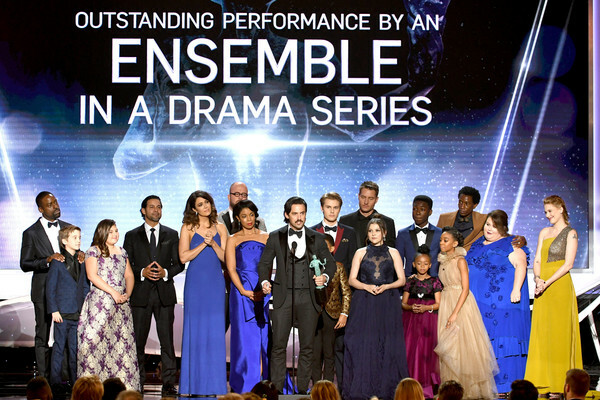 Staying with This is Us and it has been renewed for not one but two seasons. This is a show I like a lot and it is nice to have something this sentimental on TV right now. Plus it gives us two more seasons of Sterling K. Brown. 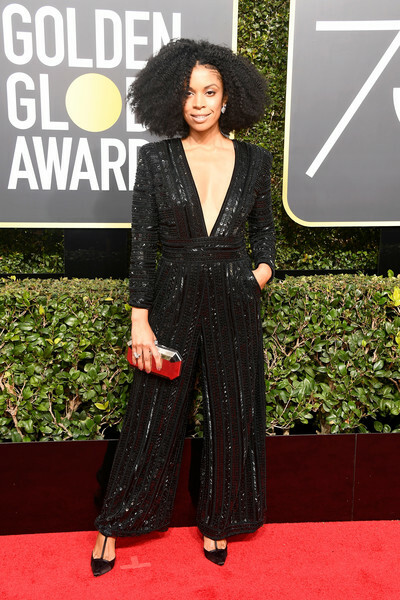 Also, keeping with the bold color theme and as someone who has way too many stripes in their closet (and I bought another one last weekend) I am very much here for Susan Kelechi Watson’s sweater. 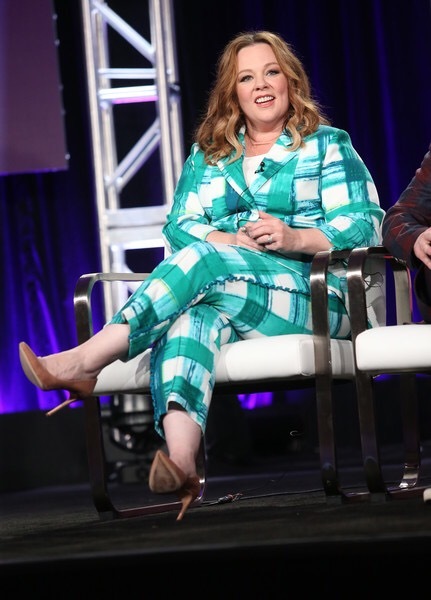 And in this week’s #LadySuitWatch2017 Melissa McCarthy also takes the TCA bold color challenge and puts her very own memorable spin on it all. Before the holidays I stumbled upon the Literary Gift Company and for all your book themed apparel/stationary it really is a treasure trove. 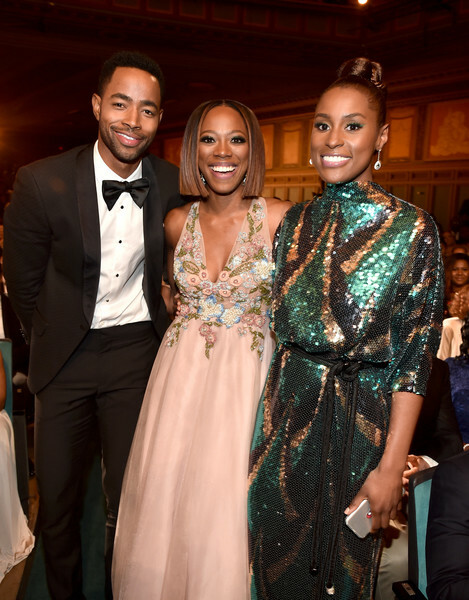 Long story short, but Naomie Harris in this Disaya calligraphy print dress feels a little like the luxury fashion version of this, so of course I love it. Aidy Bryant looks fantastic in a very pretty floral Tanya Taylor frock while appearing on Late Night with Seth Meyers. It also turns out that I have the same glazed look drunk face as Bryant. As can be seen here. Okay so small disclaimer; this is not a look from this week. 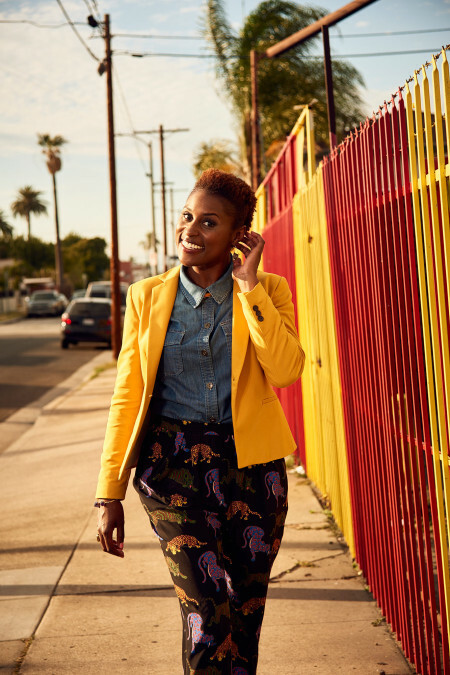 In fact this outfit is worn by Issa Rae in the Insecure pilot back in October and this is both a chance to make up for not including it back then (I have a good excuse in that I had only just got back from honeymoon) and shamelessly plug some work in other places. And FX president John Landgraf shows why so many incredibly creative voices talk so highly of their boss. There’s a level of trust here and this has definitely paid off with Atlanta. 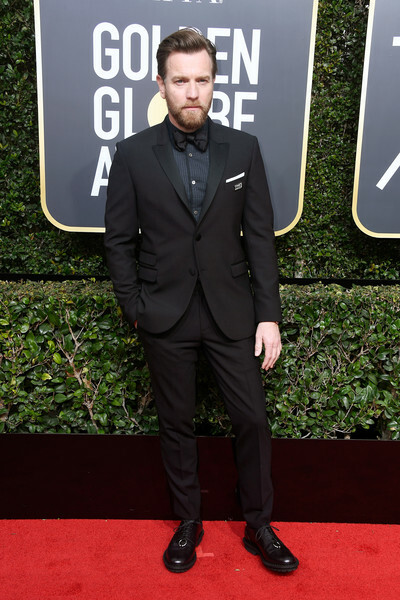 Read the excellent profile here and for more A+ style check out his Golden Globes look.